Paperbark ( Melaleuca species, MYRTACEAE ). 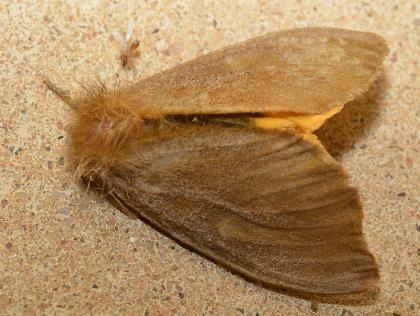 The adult moths have uniformly pale brown forewings and yellow hindwings, The undersides are similar. 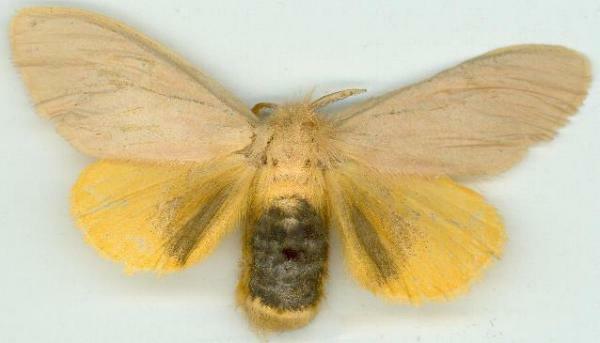 The female is larger than the male, and has a wingspan of about 5 cms. The females often have a broad dark streak along the hind margin of the hindwing. The abdomen of both sexes is dark brown on top and yellow underneath. The male has a wingspan of about 4 cms. 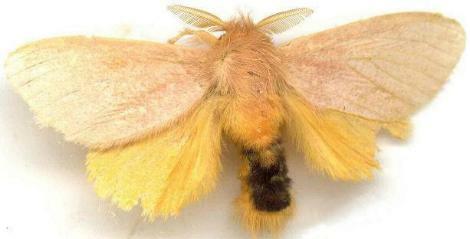 The male has a pale tuft of hairs on the tip of the abdomen. Volume 26 (1902), p. 179.